That comfy, cozy place where good ideas go to sip on lattes, browse the Internets, and work on their screenplays. The seasons pass by as I make friends, battle monsters as I explore the mines, and grow my farm into a gem of capitalism. What initially seemed like a quiet, meditative, comfy farming simulator quickly turned into a grind towards making a massive fortune. Alright, I’m exaggerating … a little. Stardew valley is a lot of work with the ultimate goal being a pile of money, but it’s also so much more. While I enjoy a nice soul-crushingly difficult video game, I also love the kind of game that encourages me to stop and smell the flowers. Too often do games fly by in an instant and leave no time for players to enjoy the hundreds of hours of craftsmanship and art present in a gaming experience. 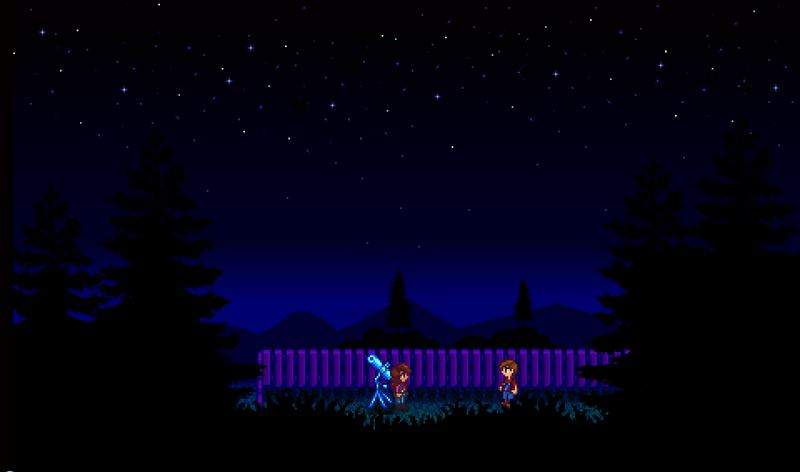 In Stardew Valley, each and every item shines with an amazing amount of detail. Everything, from the grass to the treasures and home decor, builds a gorgeous pixel-art world ripe with nooks and crannies open to exploration. Beyond the diverse gameplay and myriad quests, lies something that’s too often missing from many other games these days. There are hidden surprises, random scripted events, and so many other points of interest not marked by nav-points on a map. 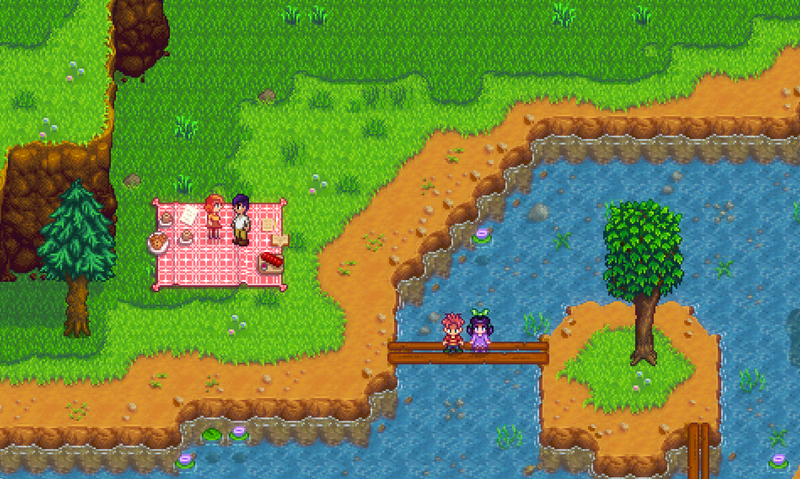 Going about a day in Stardew Valley is far more immersive than some million dollar budget triple A games because it doesn’t feel like a laundry list of tasks leading to an anti-climactic end. It makes me feel motivated to explore with the promise of running into something I didn’t expect. That sense of wonder doesn’t ever make the game feel rushed. Combine the incredible pacing with the other stuff I’ve talked about and top it off with the incredible, dynamic soundtrack and the result is blissful video game meditation. 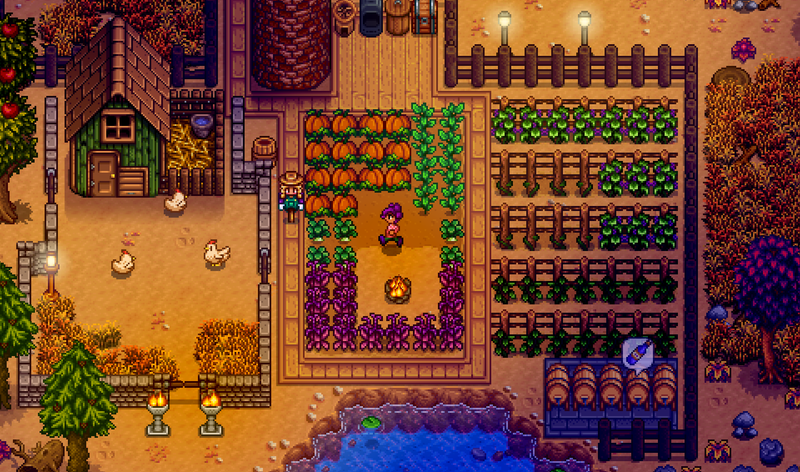 Contrary to popular belief of what people from the outside think video games are, Stardew Valley proves that games don’t have to be stressful or violent. They don’t need to toss a beefy hero on a path to save the world with some some cheap, gory thrills along the way. Dialing back from the grey dull world we live in, to a quaint, green valley, where time moves so slowly, feels dramatically more fun and satisfying. In fact, that’s actually how the game starts.